Wassup???? 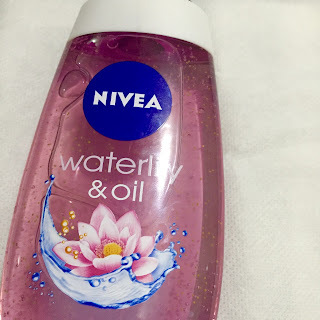 Today I am reviewing the Nivea Waterlily & Oil Shower Gel. Product Description: Stimulate your senses with the feminine scent of Waterlily, while this silky fresh shower gel with replenishing oil pearls turns into a soft caring foam – making your skin feel sensationally soft. My take: I love trying different bathing products but somehow missed out on this particular variant of the Nivea Shower Gel. Anyway, while shopping for grocery I recently picked it up and have been using it for close to 2 weeks now. Nivea is quite a trusted brand world over and has earned good reputation for itself along with some serious fan following. Me being one of them wasn’t worrying about the quality of the product since it was Nivea. Anyhow!! !Shower gels are usually intended to be less harsh and irritating on skin as compared to soaps and this was no different. 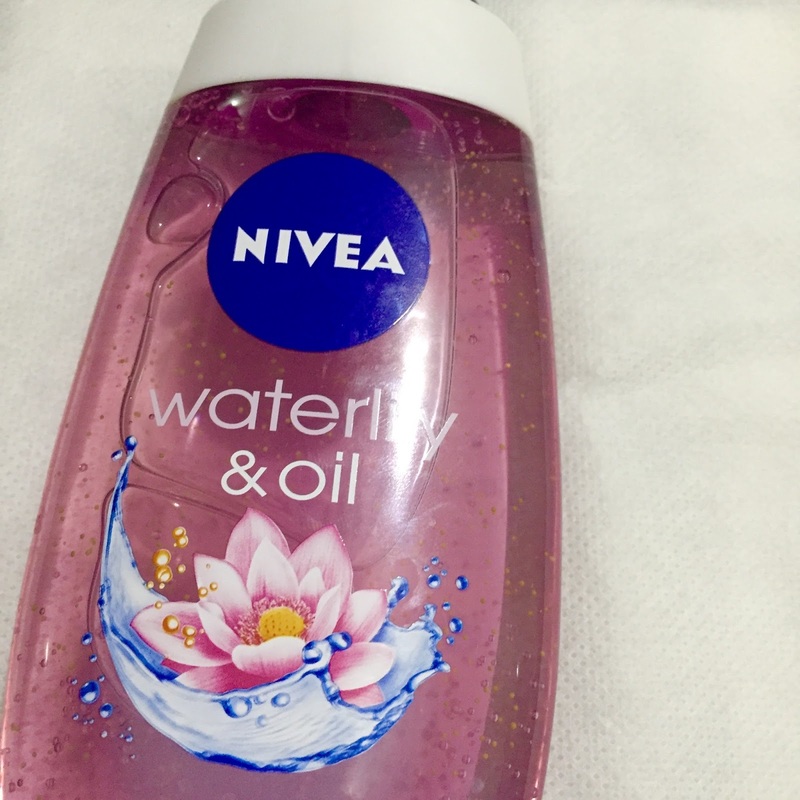 The Nivea Waterlily & Oil is extremely gentle on the skin. Its not too thick nor too runny and just a coin sized amount of product is sufficient for one use. The gel lathers very well, even in hard water and leaves your skin clean, soft and moisturized. This one made of HYDRA IQ moisture technology to keep your skin hydrating even after towel drying and though you can occasionally skip the body lotion or moisturiser after your bath in summer, in winters you definitely need one. The fragrance of this gel is very fresh and refreshing but doesn’t stay on for too long. I could barely smell it for like 15 mins after bath. The product may seem pinkish in colour but actually it is a clear gel with tiny little yellow coloured oil pearls and looks very pretty in the bottle. Packaging: The Nivea Waterlily & Oil Shower Gel comes in transparent pink hued plastic bottle with a white and blue flip cap and its very sturdy and travel friendly. 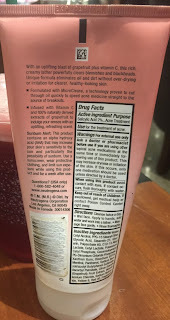 On the back side of the bottle all ingredients are clearly mentioned which definitely helps one choose the product. Overall I am quite happy with the product but I cannot say it’s the best or there is something exceptionally good about it. Also considering the fact that I love trying newer ones I may not repurchase it for a long time. BB creams don’t need an introduction anymore however for the one’s who still have not discovered this magical product, Blemish Balm or Beauty Balm is an all-in one cream that replaces your moisturiser, sunscreen, primer and foundation. Today practically every cosmetic brand has launch its BB cream and have left consumers spoilt for choice. I have been using BB creams for a couple of years now and have tried almost all brands available in India. I will compile a comparison post later but todays review is about the newest entrant in the Indian market – Spawake Moisture Fresh BB cream. Spawake is a Japanese brand well known for its serums and creams and they recently entered Indian market with the launch of BB cream, face wash, mask and a day and night cream. Okay so to begin with, the Spawake BB cream is loaded with sea minerals like Laminaria Japonica and Sea Salt. Now Laminaria Japonica is an Japanese kelp (sea weed) extract having hydrating properties whereas the sea salt is known for its anti-inflammatory properties. My Take: Yes this BB cream actually delivers what it claims. The BB cream comes with a SPF 25/PA++. Now usually when any cream has SPF in it, it tends to feel heavy but this one is extremely lightweight and blends beautifully and just a small amount is enough to cover the entire face unless you have severe under eye dark circles then you will need a little more. It provides medium coverage but is quite buildable. Corrects marks, spots and blemishes pretty well too. Just as the name suggests the cream is very hydrating , refreshes and revitalises the skin and lends a fresh glow making you skin look flawless yet natural. With this BB cream you won’t need a separate moisturiser underneath neither will you need to set this with powder. The staying power of this BB cream is also very good and it stays on for good 8 hours without fading. The BB cream comes in 2 shades “01-Perfect Glow” for fair skin and “02-Natural Glow” for medium skin. Unfortunately there is no shade for deeper skin. But I will suggest deeper skinned beauties to still give shade 02 a try as I feel it will give your skin a nice glow without making it look too ashy or light. This BB cream also has a nice mild fragrance which lingers on for some time and I personally quite like it. In terms of packaging the Spawake BB cream comes in 2 sizes. 15 gms tube for Rs 129/- and 30 gms for Rs 249/-. The white tube with black screw cap which is travel friendly and fits easily in your purse/clutch or bag. Such amazing results plus easy on the pocket, I feel the Spawake BB cream is just perfect for everyday wear. So ladies if you too are a BB cream fan just as I am then you must give Spawake a try. This particular review was pending for a long time and today I finally took out time to write it. Phewww!!! The L’oreal Color Riche Moist Matte lipsticks have been around for a while now and everyone is going gaga over it across the web in fact recently L’oreal even ran the #mycolorobsession campaign all across to promote these beauties yet I feel this particular shade “Arabian Nights” hasn’t gained enough popularity as some of the other shades from this range, though I wonder why. Okay so some more gyaan on these lipsticks from the maker…A lipstick that delivers intense moisture while providing a velvet matte finish. Colour Riche Moisture Matte’s unique formula contains jojoba oil for unrivaled moisture and comfort along with matte gel technology to create an intense matte look. Anyhow!!! 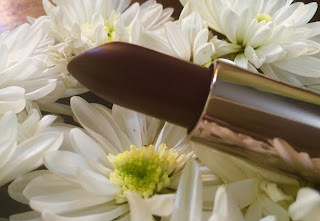 Arabian Nights is a gorgeous deep plum lipstick that will suite all skin tones. In the bullet case it looks very very dark.. but when you apply it on lips the shade is to die for. And especially with winters approaching having a shade like this is a must. Like all other moist matte lipsticks from L’oreal this one too is very soft, creamy and smooth to apply. There is no pulling or tugging during application and thought is it a matte lipstick the unique formula ensures your lips do not feel dry but as is the case with most matte lipsticks this one too shows off the fine lines after a while if your lips are not well hydrated or moisturized before applying the lipstick. 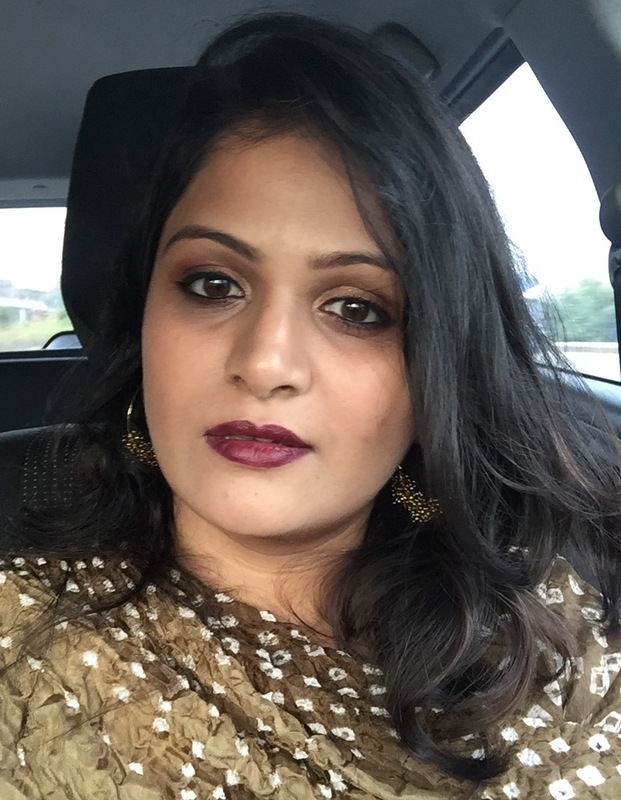 This lipstick is highly pigmented and even a single pass gives a good colour payoff. The staying power of this lipstick is very good. The lipsticks stays as is for upto 8 hours even with some amount of snacking in between however after a full meal it does fade slightly and may need touch up if you want the same bold, intense colour. 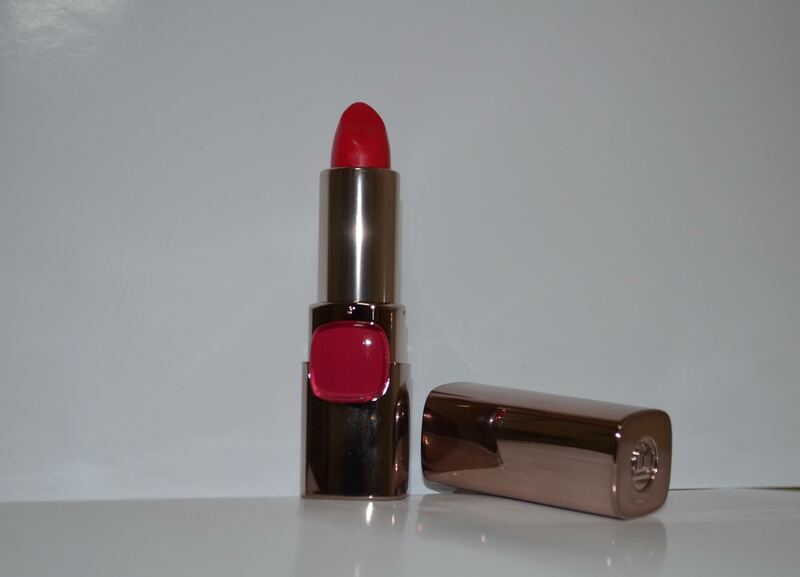 In terms of packaging the lipstick comes in a standard golden bullet with a colour button on the front bottom that shows off the colour inside to help identify the shade. The packaging of the L’oreal lipsticks is by far the best in this range. The lipstick is travel friendly and my only word of caution is to keep it away from sun or being too warm as these tend to break. Been feeling low and unwell for last few day, thanks to the frequent change in weather and hence out of action. 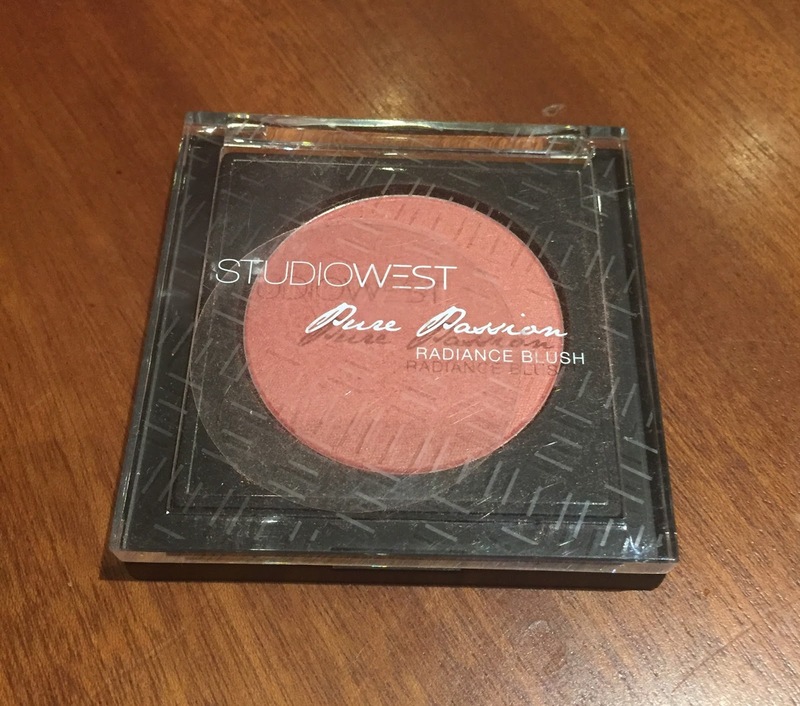 And while I am still recovering, was kinda missing doing a review post so though of reviewing this Studio West Blush that I have been using for a while now. Alright so by now we all know about Studio West cosmetics from Westside. Their products are divided in two variants, “Pure Passion” and “ Maya”. Maya is for all things glittery and is more of a festive collection while Pure Passion is an everyday wearable range. 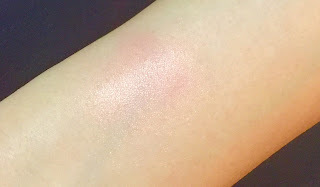 Dusty Rose is one such blush from the Pure Passion range. 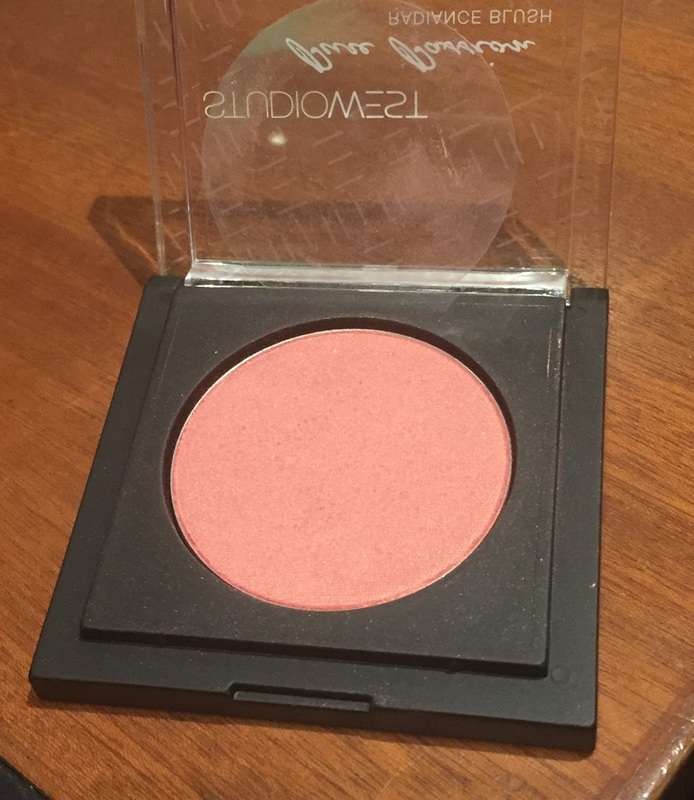 As the name suggests it’s a nice earthy pink which adds instant freshness to the face. 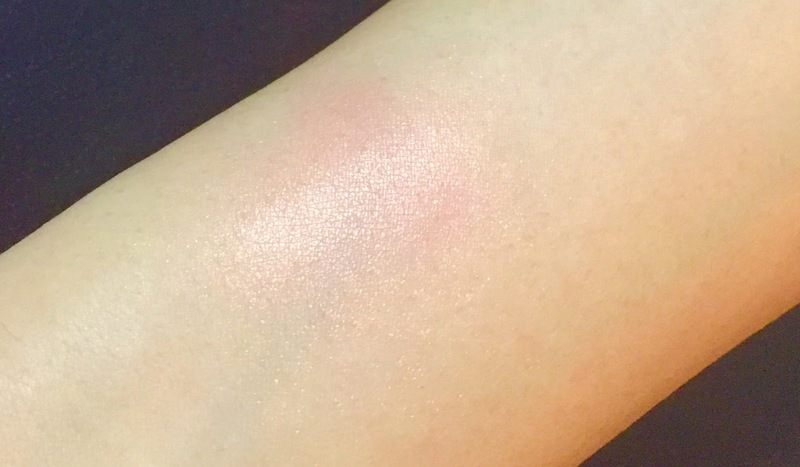 This blush has a good amount of gold shimmer added to it which is very fine and does not look harsh or gaudy and highlights the cheek rather well and is great for day wear. 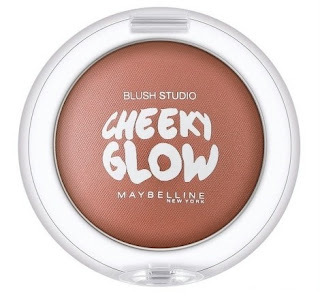 In fact I have replaced my cheeky glow blush with the this one since a couple of weeks and just love how it looks J This shade will look good on fair to medium skin tones and is not for deeper skin tones. The texture is soft, smooth and blends easily. In terms of color payoff, these may not be the best but isn ‘t bad either and is quite buildable in case one need a prominent dash of color. The staying power is superb and even after 6-7 hours stays looks as fresh as it did immediately after application. Packaging wise this comes in a nice black case with a transparent lid so you can easily see the color. Packaging is quite sturdy with the standard Studio West branding thus making it travel friendly. The only flip side is it does not have a built in mirror so you always have to make sure your carrying a mirror along in your travel. Overall I quite impressed with the Dusty Rose blush and since they are not too heavy on the pocket, I am certainly going to try some more shades from Studio West. After all who doesn’t like products that so good and affordable at the same time. Today I am reviewing Neutrogena Oil-Free Acne Wash – Pink Grapefruit Cream Cleanser. From the Makers: With an uplifting blast of grapefruit plus vitamin C, Oil-Free Acne Wash Pink Grapefruit Cream Cleanser is a rich, creamy lather that powerfully clears blemishes and blackheads. Eliminate oil and dirt without over-drying or irritating skin. Formulated with MicroClear®, a patented technology proven to cut through oil quickly to speed acne medicine straight to the source of breakouts. 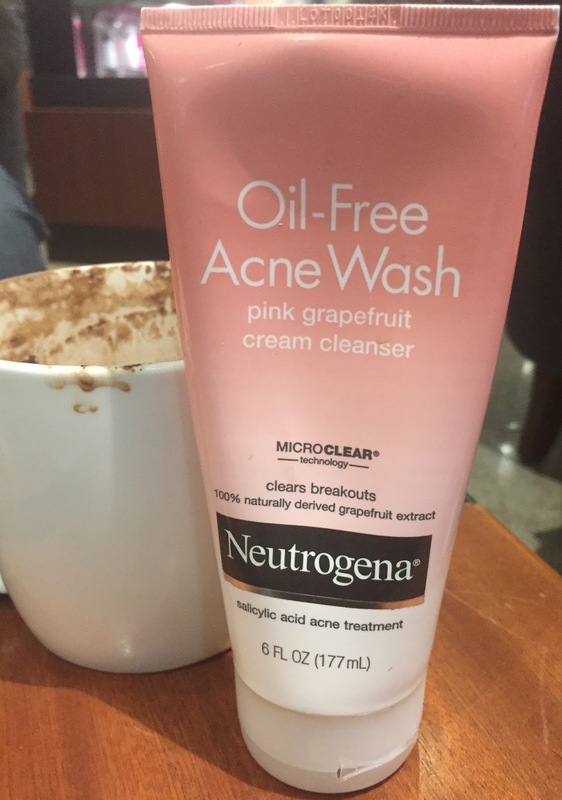 My Take: Neutrogena is a well-known brand and has established itself as one of the leaders in skincare product. Their products have rarely failed to impress me and so while I picked up this face cleanser, I was sure it only meant goodness for my skin. While I love the Neutrogena cleanser I have used other cleansers or face wash that are far more mild and gentle on skin. So I may not buy this one again but do give it a try. I personally feel that if you have acne then you need much more than just a face wash and while the cleanser will not do any miracles it will help in keeping acne under control if not get rid of it. 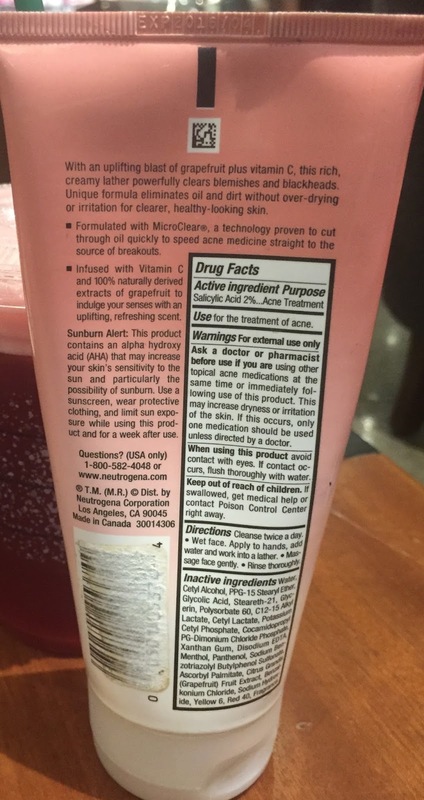 Another word of caution, since this cleaner has salicylic acid it may not suit people with sensitive skin. Product Claims: Extremely soothing and infused with antioxidants, Vichy Thermal Spa Water is a natural solution for boosting skin quality and health. A unique combination of 15 rare minerals gives Vichy Thermal Spa Water its remarkable ability to fortify & protect the skin from environmental aggressors . My Take: So thermal water is like a new fad.. and I was more than happy to be caught by it. What is Thermal Water? Thermal Water is a mineral water that comes from thermal springs and have anti-inflammatory and antioxidant properties. While there are a lot of brands who have launched these Thermal Waters, I wanted play safe and hence Vichy was my choice. Now the Vichy thermal spa water comes loaded with 15 minerals and is very high in antioxidants. Since the thermal waters were majorly marketed for sensitive or problematic skin I was not sure how this will work for me since I do not have any skin concerns as such and hence did not expect something miraculous. I simply incorporated this into my daily CTM routine. 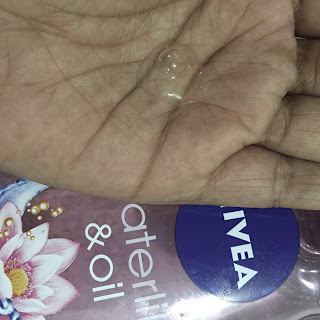 I use this thermal spa water after cleansing my face and before using my toner.. you read it right, I do use a toner as well after I have used this water because unlike a toner the thermal water does not help in removing traces of makeup if any.. I cannot exactly point out the difference in my skin since I have started using the thermal spa water but using this water gives my skin an instant cooling and soothing effect. Especially if I have been out in the sun and then come home and use it. It definitely makes my tired, dry & dull skin look fresh and hydrated. 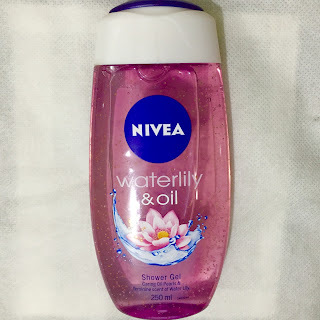 Apart from this I also use this water to set my makeup and give it finishing touches and also at work, where there are no windows and the closed environment doesn’t allow fresh air to come in, I like to spray this at regular interval and I have replaced my face mist with this thermal spa water. I cannot comment on the products claim of reducing redness, or acting on irritation or itchy skin as I am not troubled by any of these but yes my skin does feel nice after using the thermal water and I am kinda addicted to it now though honestly it is not one of those must have products as my rose water or other face mist pretty much did a similar job. In terms of packaging this thermal spa water comes in a white spray can with a blue cap which is very similar to most of the deodorant bottles we have and is quite travel friendly as well, though they also have a smaller bottle of travel purpose. Is fragrance free get absorbed in your skin very quickly. To sum it up, I will say do give it a try and for those of you, who have troubled skin and have used the Vichy Thermal Spa Water, I’d like to hear from you on how this product fared. Night Creams have been around for some time now yet many of us have not incorporated them into the daily skin care routine. Hopefully this review helps you take that first step. So what are night creams and why do we need one??? Well night creams as compared to day creams are more thicker and heavier in texture. They come minus any SPF and since our skin repairs itself while we sleep, these creams are generally made with ingredients that not just nourish but even treat and repair our skin and help in cell renewal process. Here’s what The Body Shop has to say this cream - With rich wheat germ oil to replenish and revitalize skin while you snooze. A rich, nourishing cream that helps replenish antioxidant and moisture levels overnight, when the skin is at its most receptive. It leaves skin feeling soft and smooth. With Coco Butter and Vitamin E as its main ingredients this cream definitely does what it claims – it moisturises, repairs and leaves my skin looking healthy and glowing each day. Packaging wise it comes in a similar coloured plastic tub, which is something I am not too fond of. I don’t quite like to dip my finger into any product as its extremely unhygienic. Anyway, I use a tiny spatula to scoop out the required amount of product every day and that helps in keeping my tub germ free. The tub packaging is quite sturdy and travel friendly as well. 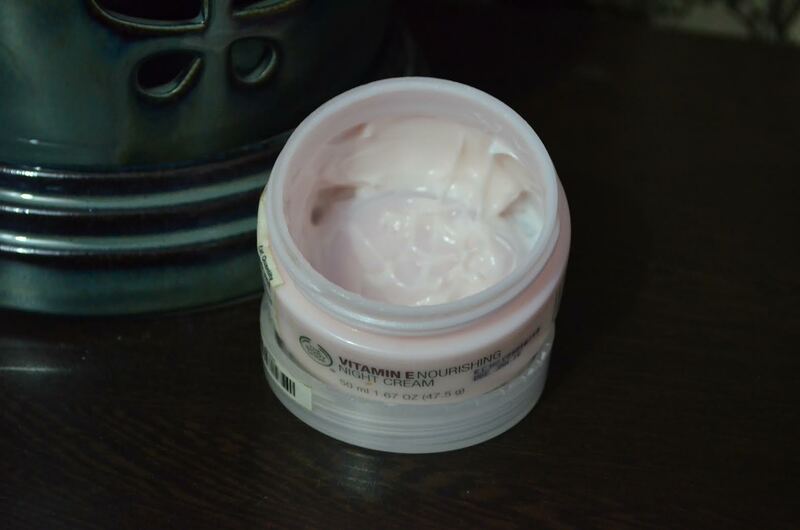 Overall I am very happy with the TBS Vitamin E Nourishing Night cream and I am definitely buying another tub. So if you too have dry or combination skin, I’d say go give it a try!!! In case of oily skin this may not suit you but try getting a sample from the store before investing in a full sized product. Todays review is about one of my most favourite pink – Raspberry Syrup! It is a gorgeous berry pink colour which instantly glams up your face and even if you are not wearing any makeup just glide this on your lips and you surely will fetch so many compliments. This is a very versatile shade and will look stunning all skin tones. 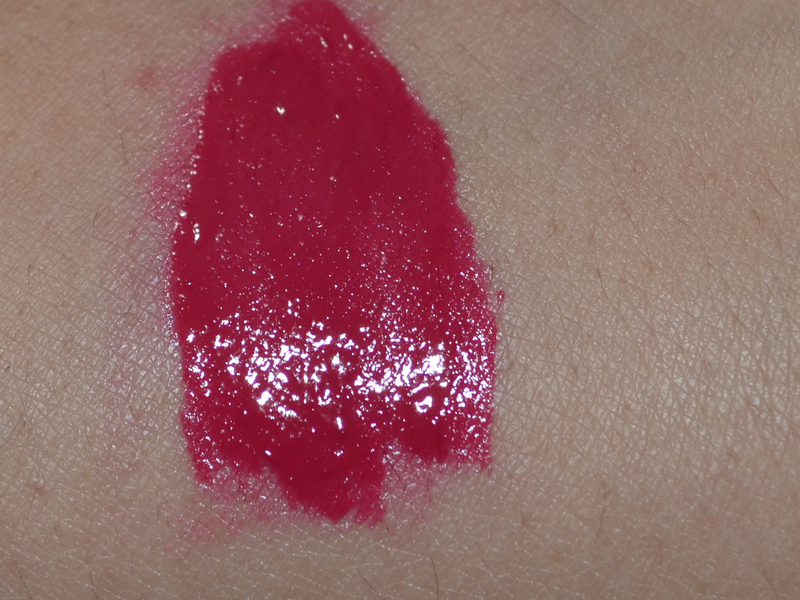 The lipstick is highly pigmented and even one swipe is good enough to show off the actual colour. On my lips this lipsticks stays for about 6 hours after which it starts to fade however leaves a very nice tint on the lips. 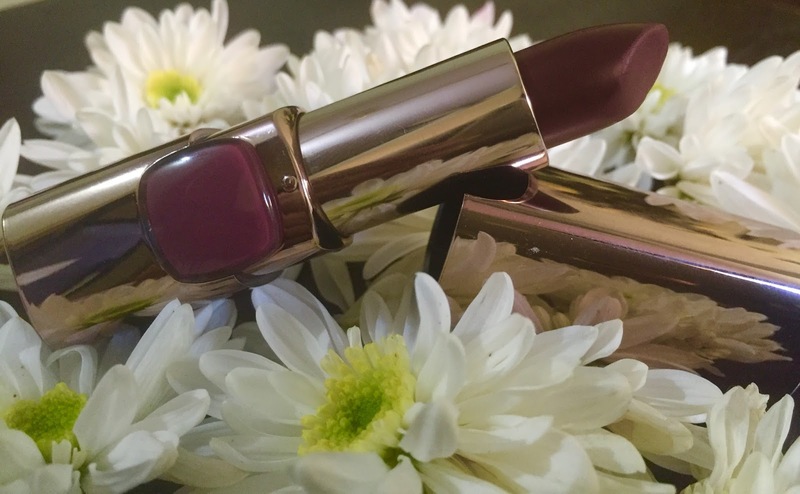 The texture of the this lipstick is very smooth and creamy and glides effortlessly on your lips giving it a satiny look. With Jojoba oil being one of its key ingredient it keeps lips moist and hydrated and hides lines or chapped or dry lips very well and does not feel too heavy on the lips. Since its so soft and creamy this lipstick does transfer so you may want to dust some loose powder to fix ot and not let the lipstick be all over the place. Packaging wise this comes in a beautiful golden bullet with a bottom at the bottom which shows the shade and this makes it extremely easy to pick the lipstick you want to wear. Yes it is a little pricey as compared to come of the drugstore brands but you can definitely feel the difference. For the formula and the way my lips feel after wearing this lipstick, I am certainly ignoring the price tag. The only flipside to this lipstick is that it melts and hence can break very easily, so you have to be careful when carrying it around in your purses or even when storing these at home make sure they are not kept in a warm place with too much sunlight falling on them. Hello Beauties!!! Just in time before the festive season kicked in, Maybelline launched their new range of lipsticks “Colorsensational Velvet Matte “. The shade I am reviewing today is called the MAT 6 from this range. The minute I saw these at the Maybelline counter I instantly fell for these. These small little beauties are so pretty looking that I actually ended up buying 4 of these(review for all others will follow). 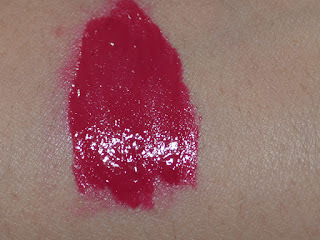 I am a sucker of pink lipsticks and this particular shade of Maybelline is so very gorgeous, deep magenta pink. It’s one of those rare shades that will look stunning on all skin tones and can be worn on any occasion. Well though it’s called Vetvet Matt, this one is slightly glossy on application however settles in to an soft creamy texture within a few minutes. This one is highly pigmented and even one swipe gives a great colour to your lips. The lipstick is extremely hydrating and the staying power too is very good. Even after 6-7 hours there is a nice tint on my lips. Packaging wise like I have already mentioned they are CUTE!!! The lipstick comes in a neat transparent bottle with black cap. This really helps identify the shade very easily. They are so lightweight and compact that you can easily slip them into your clutch or even your carry them in your denim pockets. The bottle comes with a teardrop shaped wand which makes it very easy to apply. Overall I am totally in love with these lipsticks and the MAT 6 shade in particular. I see myself wearing this shade the most during Diwali. I am sure this lipstick will not disappoint you too. The product I am reviewing today is not a new launch. This one has been around in the market for a while now however deserve a mention for the upcoming festive season. About a year ago I was at some event and got a chance to closely watch a makeup artist do her job. I just loved how bright, polished and pearly her face looked and was so desperately wanting to know what she had used and that’s how I was introduced to highlighting concealers .. off course the product she used was from a high end brand but I immediately wanted to get my hands on one. That was the starting point for me to learn more about these. 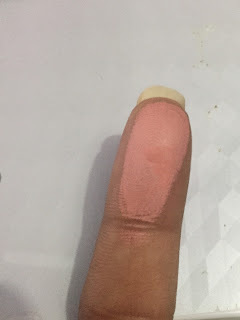 Around the same time or a little earlier Maybelline launched their highlighting concealer and when you are trying something new, you are not sure you want to splurge and that’s exactly why I bought the Maybelline Dream Lumi Touch Highlighting Concealer. Maybelline highlighting concealer, in India has only 3 shades and it could be difficult to get a match for your skin tone. The darkest shade they have is Honey which is slightly lighter for my skin but I had no other option but to buy that one. 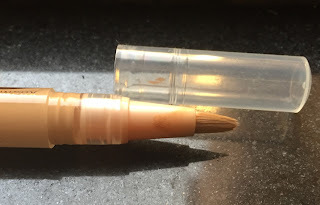 The concealer is in a form of a pen with twist mechanism and has an brush attached on top for application. Now this is something I like but at the same time not too happy about either. Like because you don’t have to search for a separate brush to apply or even dirty your hands but on the flip side the brush over a period of time accumulates dirt and you cannot clean it. Also at times you keep twisting the pen and the product just doesn’t come out or at time it dispenses way more than you need if you are very careful. So packaging wise I am not a big fan if this product. Okay talking about the product, this one is not for dark spots, acne marks or bumps on face. It provides very sheer coverage to hide all the above. This one is best suited for under eye area (again is you have very dark circles, this will not help) and I also use this on the bridge of the nose or to highlight my brow bone and sometimes around my mouth as well. The texture is not too runny or thick. Spreads and blends quite easily and the fine pearl particles gives your skin a nice soft glowy look and does not make you look cakey. Like I said earlier though the shade is slightly lighter it works perfectly well ( I don’t use this If my eyes look too tired or the darkness is high due to lack of sleep etc) in fact it gives that perfect amount of brightness to the under eye area. The staying power is also nice and lasts for about 5-6 hours post which you will need touch up. I just love how my face gets that dewy glow with this one and yes it photographs really well. So that’s a big plus for me. 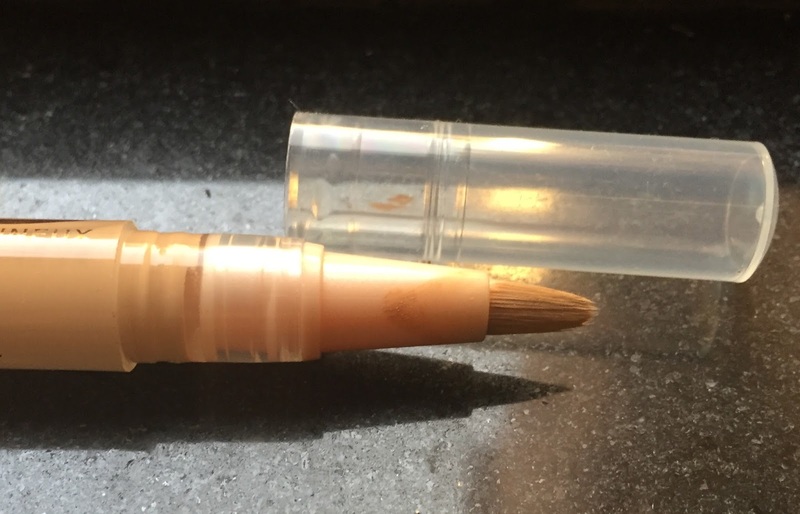 I have almost stopped using my heavy duty concealers since the time I have had this product. Along with my BB/CC cream I don’t need anything else on regular days. So for the price this product comes at, I think it does a fab job and I actually don’t feel the need to have any high end brands. I would certainly recommend you all to give this one a try. Girls don’t really need a reason to buy makeup/beauty products. Do we? But I did use this festive season as an excuse and just splurged, literally!!! So you will see a lot of reviews coming up. 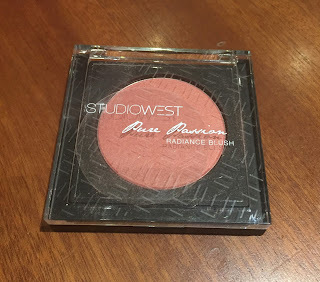 Okay recently Westside launched their cosmetics under the name of StudioWest. Being a TATA brand I was pretty confident that the quality of products would definitely be nice. The most important characteristic of an eyeliner for me is that it should be smudge free. This one for sure is. It’s also soft, creamy and glides on effortlessly. Both the shades are really pretty and these eyeliners are highly pigmented. Even one swipe really packs in a good amount of colour on the waterline. Great to be used on the upper lids and worn as eyeshadows which blend quite well, the staying power is good 5-6 hours even when tightlined after which it starts to fade and you will have to touch-ups but will need a makeup remover at the end of the day to get rid of it completely. 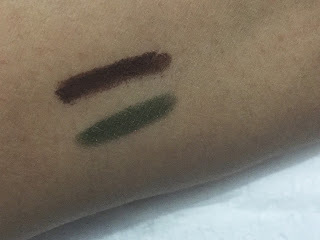 Talking about its packaging, the StudioWest eyeliners come in a twist up pencils form which you can easily retract in case you twist up a little more than necessary ( this to me a big plus) Overall I am quite impressed with these eyeliners and surely see myself buying them again, especially for the price they come at. So what are you waiting for.. go get them and don’t forget to write in to let me know how you feel about these eyeliners. What a perfect time for TBS to launch their new range – Virgin Mojito!! !With the temperatures soaring high, all you want is a splash if lime and hint of mint to cool you off. Well and that is exactly what the Virgin Mojito line of TBS does. I am a big sucker for TBS products and I have not really had a product that didn’t work on me (except 1 really). So when this limited edition line was launched I had to get it ASAP. Each of their products smells so heavenly and it is no different with this one. I can keep sniffing the product whole day.. it smells to fresh and screams summer. Have you tried The Body Shop Body Sorbets? I'd love to hear from you! So the last two days I have been on a gastronomical trip, literally!! They are still the most affordable blushes in the market. The formula is great, the texture is nice smooth and soft and just packs the right amount of product on the brush. This one is well pigmented and though the blush is powdery you will not feel chalky at all. All you need is just about two brush swipes of the cheeky glow blush and it instantly adds a nice flush to your cheek. Priced at INR 275 for 7 gms, these are extremely affordable (especially for college goers). Even if you wore it every day this one will last you for 4-5 months, WOW isn't it! So if you are someone who is on a budget or are recently introduced to blushes and wanna try a few before investing in high end brands then you certainly have to get this one. On the flip side, the blush case comes without a mirror and your choice for shades is only limited to 3 (review or other 2 coming up soon). I really wish Maybelline adds few more colours to this range. Go get them and let me know if you like these as much as I do. Hi! I am Reva an absolute make-up & beauty junkie. I may not be an expert or a professionally trained makeup artist but have this strange obsession and passion for makeup which over the years got me hooked on to trying new beauty products, learning various techniques of wearing make-up and everything that makes me look good :) So join me on my blog as I share my learnings, experiences and beauty secrets!!! Receive Quality Reviews Straight in your Inbox by submitting your Email below.